We talk with journalist Jack Cushman about his recent article for Inside Climate News, U.S. and China Ratify Paris Agreement, Upping Pressure on Other Nations. Then climate negotiator Dr. Hugh Sealy tells us about the threats to his island nation and his plans to combat climate change. Finally, a conversation with environmentalist Peter Seidel about big-picture thinking to save the planet. 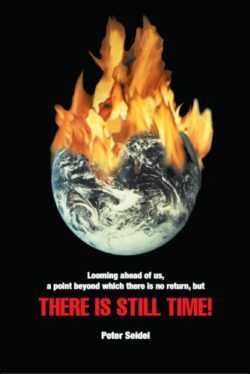 His book is There Is Still Time: To Look at the Big Picture…and Act. The Paris Climate accord was finalized late last year — but it still has not gone into effect. That depends on getting 55 countries that together account for at least 55% of global carbon pollution to actually sign the agreement. A huge step forward happened last week when President Obama and Chinese premier Xi Jinping together signed onto the Paris Accord. We called up our go-to guy for such things, Jack Cushman of Inside Climate News. His article “U.S. and China Ratify Paris Agreement, Upping Pressure on Other Nations” was posted to the online Pulitzer prize-winning news site on September 3. Subscribe to our podcast? Please give us a good rating on iTunes or whichever podcast app you use. Thanks! This episode of Writer’s Voice is inspired by the historic signing of the Paris climate agreement by the world’s two major carbon polluting nations, the US and China. One nation facing an existential threat from sea level rise due to climate change is the small island nation of Grenada. Dr. Hugh Sealy has been on the front lines of that nation’s struggle to get the world behind a strong climate agenda. 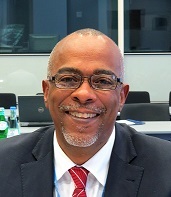 He wrote The Negotiators’ Guide to COP21, manual for those representing the small island states at the Paris Climate talks and served as a senior negotiator for the AOSIS Climate Change Technical Negotiating Team. He also was on the Executive Board of the Clean Development Mechanism under the United Nations Framework Convention for Climate Change. Sealy is a Professor in the Department of Public Health and Preventive Medicine at St. George’s University in Grenada. Dr. Sealy tells us about the growing impacts of climate change, what it’s like to live in a small island nation under imminent threat from sea level rise and his plans for a Caribbean carbon market that will put a price on carbon emissions. Seidel says that if we all take responsibility for making things better and unite our efforts with others, we can make a real difference to save the world we love — and bequeath it to our children.